Mike Flint founded Producer and Management Entertainment Group (PMEG), located in the heart of Hollywood, in 1993. This company has evolved into a central producing and managing entity that enables an individual or a company in association with the group to be networked to studio executives, writers, directors, actors, musicians, and specialized experts, thereby providing the individual and project everything required to become a success in the entertainment business. 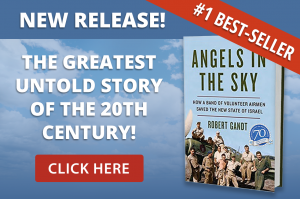 Currently, Flint is developing and is the producer of the feature film ANGELS IN THE SKY, centered around the foreign volunteers who founded the Israel Air Force in 1948, scribed by Robert Pool (“Armageddon,” “Outbreak”) and Christian Rehr, a former executive at Orion (“RoboCop”). Flint attended the prestigious UCLA film school, and graduated with a degree in Communications. While at UCLA he was one of the heads of the on-campus radio station, worked in various capacities at several production companies and started his path into the world of entertainment. In the course of his career, his passion for music led to a managerial role with each of the three members of the Mary Jane Girls. MOTOWN RECORDS recognized Flint’s contribution with a GOLD RECORD AWARD for the album, ONLY FOR YOU, and VIRGIN RECORDS awarded him a PLATINUM RECORD AWARD for their release of FOREVER YOUR GIRL. Of note, is Flint’s receipt from Epic Records of a PLATINUM RECORD AWARD for his efforts in the success of the all-time record breaking MICHAEL JACKSON album THRILLER while he was still a student at UCLA. It was Mike Flint’s destiny to land at Paramount Pictures under the leadership of legendary studio boss FRANK MANCUSO, along with famed production heads NED TANEN, DAWN STEEL and the most recent president of the Academy of Motion Picture Arts and Sciences, SIDNEY GANIS. Flint was the youngest creative executive in Paramount’s history to head the vaunted story department, where he supervised the work of 12 story analysts and reviewed a cumulative of 9000 screenplay submissions. This was a golden age at Paramount, both critically and commercially, when the studio was riding high on the success of such titles as TOP GUN, CHILDREN OF A LESSOR GOD, STAR TREK IV, COMING TO AMERICA and FATAL ATTRACTION, a series of blockbusters that were the birth of the tent-pole era. Stepping out of studio life to create his own company, PMEG, Flint was an initial contributing creative force in the development of STEVEN SPIELBERG’S AMISTAD, and an instrumental contributor to JADA PINKETT-SMITH’S breakout feature film JASON’S LYRIC. In Flint’s wide-scope of producer involvements and as a black belt himself, he has produced domestic and international Mixed Martial Arts reality fighting events, handled Ultimate Fighting Champions, and was co-creator of the World Grappling Federation for Martial Arts with the celebrated legend of the field, GENE LEBELL. Flint has served his country as a Lieutenant in the United States Navy, having done active duty at the Pentagon and the Office of Naval Research. As a reservist he was Flag Aide to the Reserve Chief of information, and was an award winning public affairs officer attached to the US Navy’s Hollywood Office where he was involved in the production of such films as PEARL HARBOR, MEN OF HONOR, ANTWONE FISCHER and the Television series JAG and NCIS. He was, additionally, part of the producing team that staged NATO’S 50th Anniversary celebration, as well as the commissioning of the USS Harry Truman and the USS Ronald Reagan aircraft carriers. Working with Columbia Pictures, Flint master-minded the creation of an award-winning poster that incorporated the film HELLCATS OF THE NAVY, in which actors Ronald and Nancy Reagan (then Nancy Davis) starred, into the celebration of the event. Continuing his deep appreciation for the military Flint was involved in producing several installments of the American Veteran Awards, has served as a special assistant to the National President of the Naval Reserve Association, was President of the Reserve Officers Association of the United States, California Department, and currently serves as President of the US Navy League Los Angeles/Hollywood Chapter. A passionate sports fan and enthusiastic world traveler, Flint attends Olympic games, World Championships and major events around the globe whenever possible.